It was back in 1939-1940, during the New York World Fair that the first humanoid robot was exhibited. Since then, there has been continuous research and development in the area of robotics, world over. In Pakistan, the field of robotics is being explored by many private organizations, universities, , incubators, startups and freelancers are contributing in Robotics from grassroots to advanced level. Robotics is being taught as a subject in multiple public and private academic institutions, along with several research groups that have been formed for R&D in Robotics. The IMRs can become a part of the disaster management and fire extinguishing equipment. Can be utilized for civilian as well as military purpose. Mobile robots can be used for investigating the cause of fire/disaster. Can be utilized for disaster management such as sending missions to earthquake or flood hit areas. The mobile robots can be used to generate maps or data. Defense Housing Authority (DHA) and Karachi Metropolitan Corporation (KMC) have already showed their consent to deploy the IMRs at their firefighting facilities after successful testing. Al-Zahrawi, the training robot and simulator developed in the project, is for minimal invasive surgery (MIS) or laparoscopic surgery, currently under progress at the NUST School of Electrical Engineering and Computer Science in collaboration with Holy Family Hospital, Pakistan. This funded project is primarily focused towards developing a cost effective solution for training surgeons for conventional and robotically assisted MIS procedures. The project was completed in 2014 and since then it has secured multiple national & international awards from technical and business communities. The project has a potential for commercialization as it is one of its kind prototype that has been developed and tested in the real environment also the simulator is cost effective in comparison with other available trainer/simulators in market. The project aims to develop an EMG (electromyographic) controlled light weight, low cost and easy to use Upper prosthetic Limb to facilitate persons who have lost a limb due to an accidents, disease or congenital defects. The direct beneficiaries of the project are persons with amputations, medical professionals and hospitals, charitable and bio-medical organizations. The project will be completed in 2017 and has great potential of commercialization because of innovative and low cost solution where the products available in market are not catering the demands cost effectively. The product will be cosmetically enhanced to look like a real limb, and with its light weight, it would enable the amputee to keep it on for long hours. This market segment is wide open locally and internationally for such a low cost, light weight and intelligent solution. In addition to research & development, university students are also focusing on robotics in their final year projects. From 2014 to 2016 Ignite (Formerly National ICT R&D Fund) approved 61 final year projects for funding related to robotics under the program ‘National Grassroots ICT Research Initiatives’ with aggregated budget of Rs.5.3 million. Several ideas for robotic applications can be generated from these final year projects and can be converted into sustainable startups. Mentorship, networking and other facilities will also be provided to them to take their product further and at a later stage market outreach and access to investors like angel investors/VC funds can be introduced for commercialization. Ejaadtech, engineering and technology startup, is developing smart devices for the consumer market, starting with a toy car which provides interactive gameplay and a unique immersive playing experience. The toy aims to bring the children back to playing with real physical toys instead of the on-screen apps that they have gotten so used to. Micro Power Labs is a technology innovation company focused on creating next generation devices and gadgets for day to day use. Their first introductory product is Flash Pack, which is a Power Bank that charges up in just 14 minutes from laptop charger and packs up enough juice to lasts for whole day. Apart from power banks, Micropower Labs technology has many applications in devices like mobile medical apparatus, delivery drones, etc. Techtree, produces self-explanatory, enthusiastic educational robotic kits for all school going children who are facing lack of technical exposure and multidimensional education. The robots can be controlled and programmed through Techtree’s software and smartphone application. DIY Geeks is making use of technology easy for an average person. DIY Geek is offering four kinds of services, Geek Hangout; it is a community session conducted in their Makerspace where people learn as a community and promoting collaborative learning in Pakistan. DIY Things; it is Pakistan’s first open source IoT development platform where you can visualize your data and control your appliances. DIY Nest; it is an initiative to develop Makerspaces in Schools. This is done by offering tutorial sessions and developing workstations at the schools and colleges. DIY for Her; it is an initiative for women empowerment. At this level, access to market and seed money to these startups would open up the opportunities of product standardization, transforming from prototype to mass level production and commercialization. STEM stands for Science, Technology, Engineering & Mathematics, there are few STEM learning centers established in Pakistan providing learning and education services to young students. Robokids; is an initiative to provide STEM education services in Pakistan. It is first of its kind Robotics center in Lahore that provides a genuine Robotics lab environment. It aims at providing children with the opportunity, tools and guidance to help expedite their learning, especially in STEM related fields, and gives them a platform to express their talent and creativity. Robokids provides children fun and creative learning through interactive hands-on experience under the guidance of experts in Robotics, Games Programming, Electronics and Mathematics. STEMERS; is an initiative to provide science, technology, engineering and math education to learners of grade 8 and above, to produce tech-savvy future leaders in Pakistan. They offer basic, intermediate and advanced level courses in which students have the opportunity and resources to learn cutting edge technologies in robotics, programming, 3D printing and even game development. 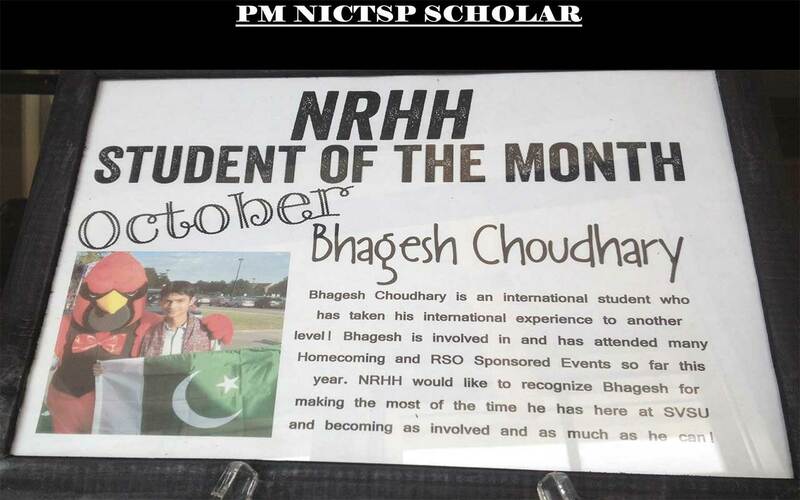 National Engineering & Robotics Competition (NERC) and Robosprint are inculcating talent and expertise in Robotics through the two major interuniversity robotics competitions held annually in Pakistan by NUST and CASE respectively. Robotics Expo is another event held annually in Information Technology University (ITU). 5th Robotics Expo was held in December 2016 where the theme for expo was ‘Robots for humanity’, to address locally relevant problems of Pakistan. 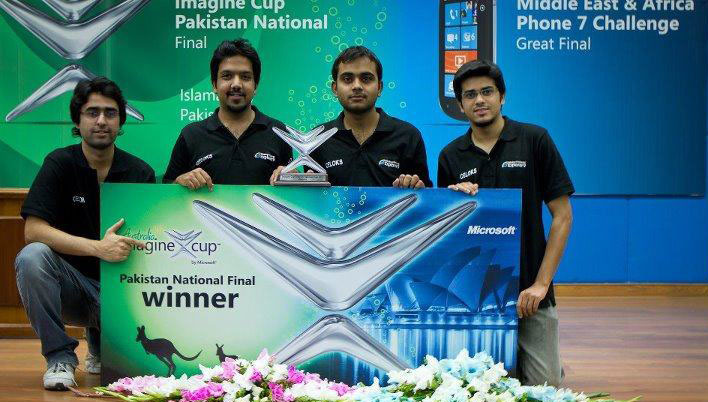 Earlier this year a team from CASE represented Pakistan in ROBOCON, the biggest robotics competition in Asia. In Pakistan there are many application areas where Robotics can help achieving accurate and precise results, collecting big data, mapping, forecasting and surveillance. Being an agricultural economy application of precision farming using robotics can directly impact around 60% of the population attached with agriculture.Precision Agriculture and Forestry (PAF) has emerged as a vital source for modernizing farming and forest management related practices. Human Resource: Finding trained human resource is a big issue. It is a very tedious task to find people with correct choice of combination i.e. control engineering, algorithms, strong mathematical background and good programming skills. Hardware; importing electronic hardware from multiple foreign sources is a cumbersome phase of development. Many of the items are listed as ‘Controlled Items’ and there are import restrictions on them. Due to taxes and duties the cost of required hardware becomes three fold when reached the destination. Fabrication; This remains to be a bottleneck in developing robots in-house. The facilities of design fabrications (FABLABS or Makerspaces) are rear in the country so for every redesign or change in approach introduce huge delays in finalizing the hardware. To overcome these challenges and to create robotic applications in Pakistan, resource management and capacity building needs to be prioritized. Fostering talent and nurturing their expertise in the field of robotics and artificial intelligence will need to be done at a larger scale. This can be effectively done through, research, information sharing, government facilitation, financial contributions, public-private partnerships, academia-industry linkages, and outsourcing.